This post is sponsored by JCPenney. As always, all opinions are my own. with my hubby and photographer;) We started the night with a delicious caramel apple cocktail and we then headed off to the DIY station. I made some super cute tassle earrings all by myself! Love them and can't wait to wear them. 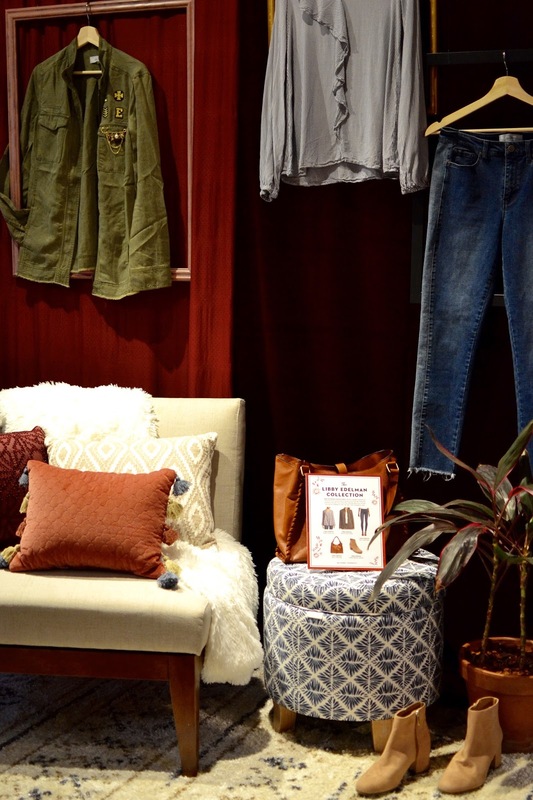 Upstairs we were able to preview fall fashion trends like my favorite: pearled jeans! I wore an amazing pair of pearl denim by Project Runway from JCPenney which I got for just $25! There were so many cute floral + velvet booties which I have to go back to get. Between velvet, florals and detailed pieces like studded jeans I was in fashion heaven! If you are looking for some key pieces I suggest getting a pair of pearl denim, fab motor jacket and floral booties! They can be your go-to pieces this season and you can play around with so many looks and styles. You can check out all the best fall trends HERE and below I shot some pics of my faves. One of my favorite parts from the event was the beauty stations.... I got my hair curled and gorgeous but the JCPenney Salon and they used some amazing products - if you saw my IG stories last night you saw how fabulous my mane was looking when I left the event! Then I got a gorgeous berry lip from a makeup artist at Sephora which I am in love with - for all those that asked it was Kat Von D's exorcism; must have this fall! I hope you guys enjoyed my IG stories last night as I took you behind the scenes of this fun fall event. 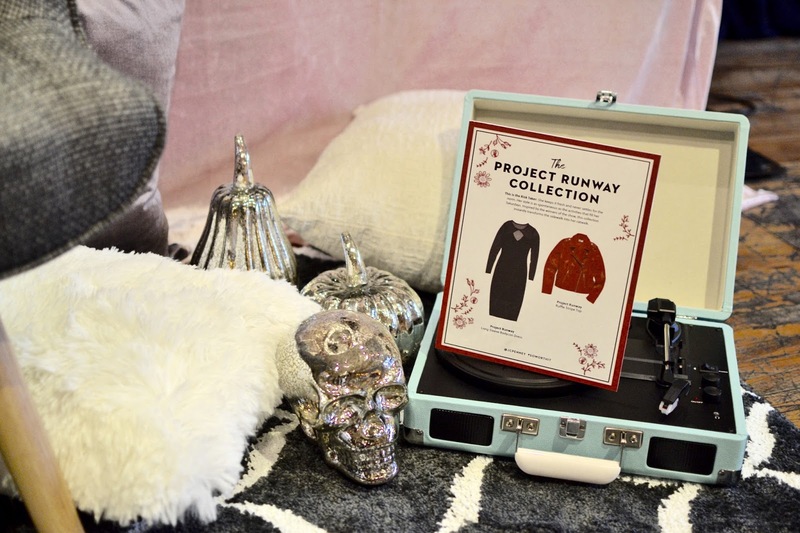 Check out JCPenney on your next shopping trip for the best fall trends and you can also find all their sales for this weekend and some coupons HERE. Have a fun a fun weekend babes!